Can you spot where I added the clear plastic triangles? It's always fun to put a clear dashboard of some kind in front of a colorful focal point for extra layering interest and texture. 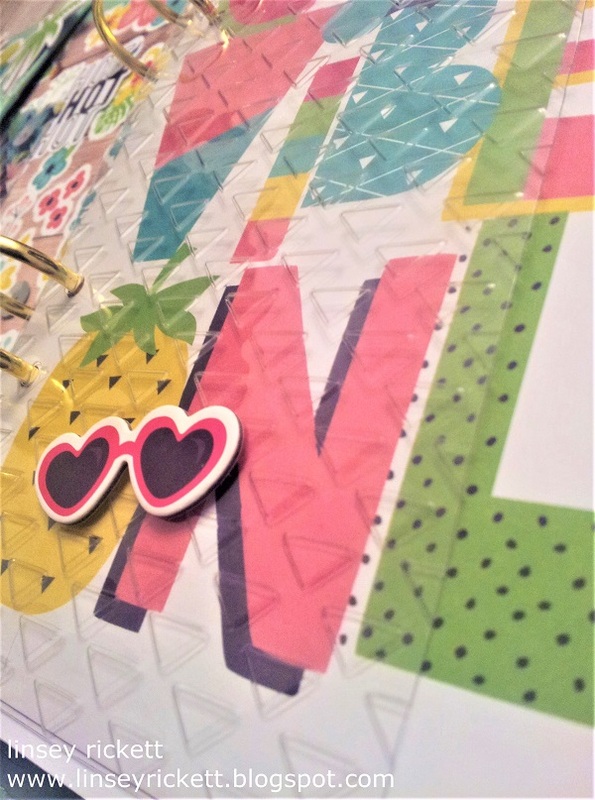 The Love Triangles Embossing Folder is right on trend and coordinates perfectly with all the different triangle accents on my summer themed papers and die cuts. I also added a bit of black Stazon ink across the tops of the triangles on a smaller piece opposite the main side, creating contrast and even more interest. Finally, I added a small scrap piece of the clear embossed triangles over the flamingo tag in the pocket. 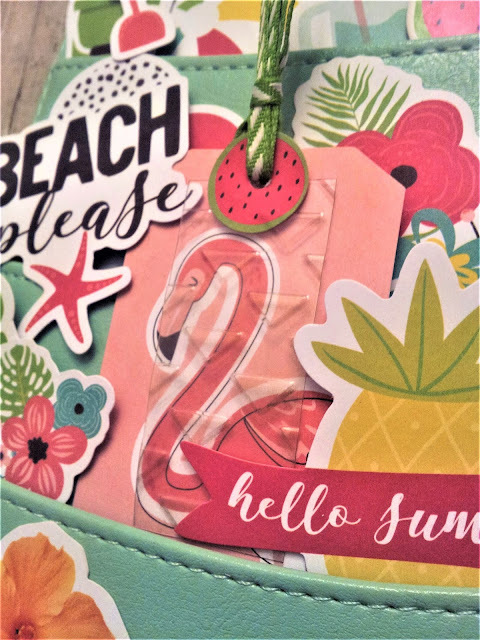 Who's ready to hit the beach?! I sure am! Thanks so much for stopping by today! 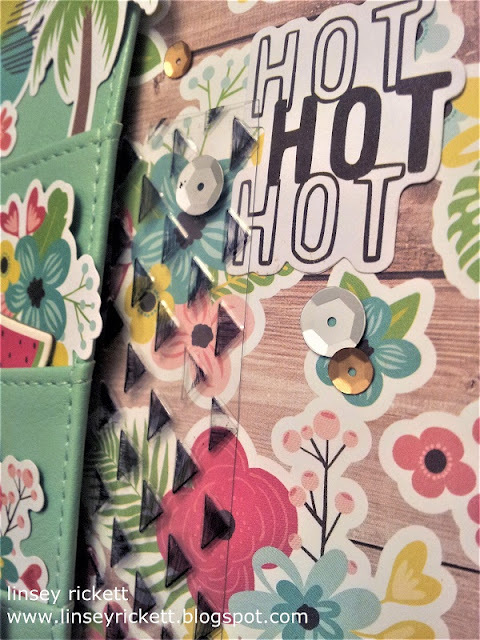 I hope you've been inspired to find some scrap materials around your house and transform them into one-of-a-kind planner embellishments with the Cut'n'Boss too! Until next time, happy crafting! Pretty cool. I am not all into planning BUT cool idea! 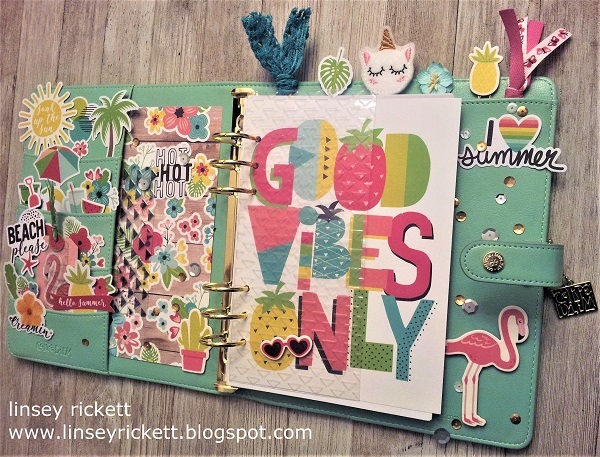 Cool planner, I love the colors, and Tfs.